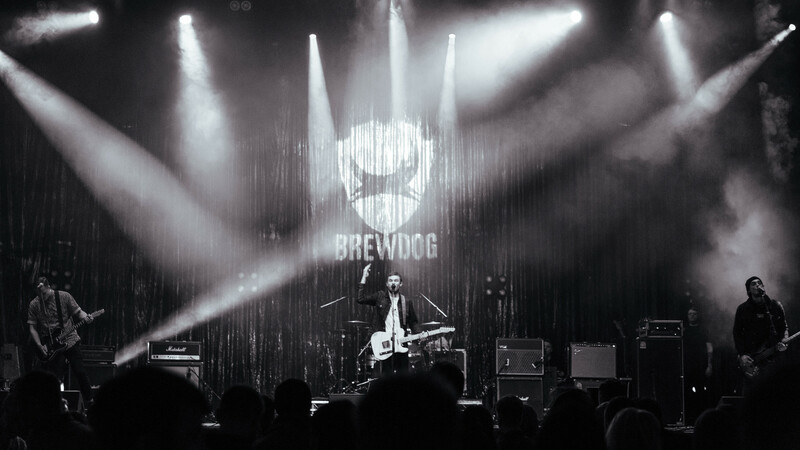 If you know beer, chances are you'll know BrewDog: the Aberdeen-based brewer helped bring big, hoppy beers and a more experimental kind of brewing to pubs, off-licenses and supermarkets up and down the UK, after all. 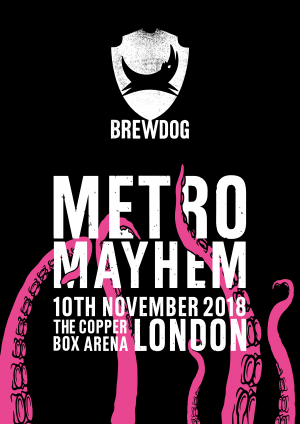 But what you might not have heard of is Metro Mayhem – an awesome beer-fuelled party run by the legendary Scottish brewery that's set to take East London's Copper Box Arena by storm on Saturday 10 November. The inaugural Metro Mayhem will feature 17 cutting-edge craft breweries alongside BrewDog themselves and the super exciting OverWorks sour and wild beer project, as well as less beery pours from Hawkes Cider and LoneWolf spirits. So who's there? Well, you can expect freshly-poured beer from the likes of Hill Farmstead, Buxton, Boxcar, Verdant, Burnt Mill, Arizona Wilderness, Jolly Pumpkin, Bearded Iris, Dugges and a whole lot more. But even though this is a beer festival, it's about way more than what's in your glass: there'll also be world-beating music on the bill throughout the day, too. On the bill are the unstoppable Frank Carter & The Rattlesnakes, who are sure make BrewDog's inaugural beer festival a party you actually won't forget. 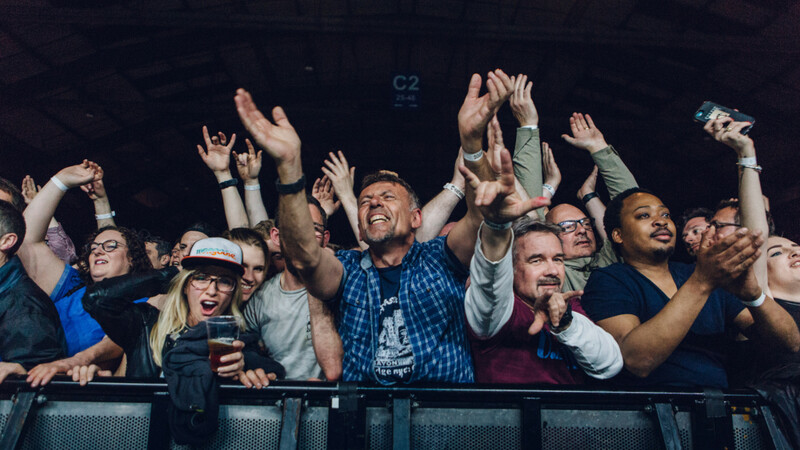 Alongside them will be 2018 Mercury Music Prize-nominated, top-five album artist Everything Everything – an awesome band whose high-tempo sound is the perfect partner for a Saturday night knees-up in the arena. Keep your eyes on the Metro Mayhem website and social media pages for more acts soon, too.